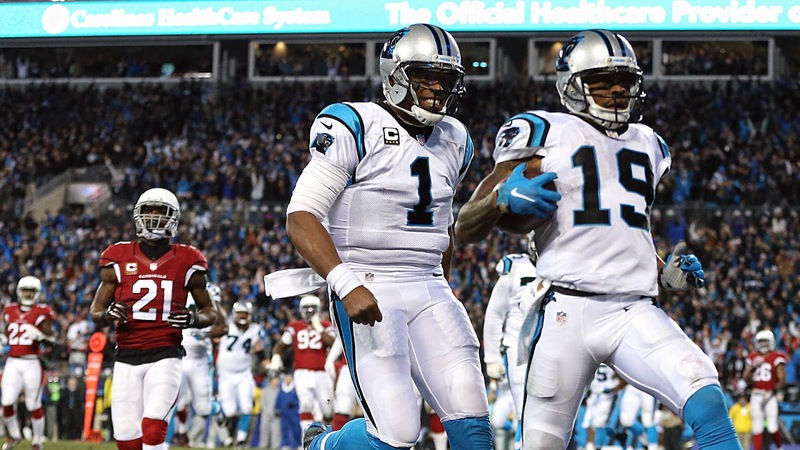 Ted Ginn was good enough in 2013 to earn a chance at a payday, and he chased it all the way to Arizona. But the Cardinals were so unimpressed they cut him a year later. So when he returned to Carolina, a chance to show his former team he could change a game was something he clearly relished. “I tried to take ‘me’ out of it, but it meant a lot to me,” Ginn said after helping the Panthers thrash the Cardinals 49-15, via David Scott of the Charlotte Observer. Ginn might not have been wanted by the Cardinals, who threw just 26 passes his way all year. Since he catches about half what’s thrown his way, that means a mere 14 receptions for 190 yards and no touchdowns. The year before with the Panthers, he caught 36 passes for 566 yards and five touchdowns. But his return has been even better. With Kelvin Benjamin out for the year with a torn ACL, Ginn has stepped up to be the de facto No. 1 receiver in Carolina, with 44 catches for 739 yards and 10 touchdowns this year. In short, when he’s in Carolina, he’s great. He has 15 receiving touchdowns in 31 games with the Panthers, and 11 touchdowns in 104 games in all other places. So suffice it to say General Manager Dave Gettleman wanted him back, and Ginn was glad to be wanted. He repaid that faith in all three phases of the game Sunday night. He caught two passes for 52 yards, ran for a 22-yard score (which covered at least 75 yards) and had a 32-yard punt return which he nearly broke for a touchdown. But his most impressive play might have been on defense, preventing a touchdown after Patrick Peterson intercepted a Newton pass. Ginn was at the goal line, and spotted the not-slow Peterson 10 yards. But he chased him down at the Panthers’ 22, setting up another Carson Palmer interception, and preventing the kind of swing the Cardinals needed. It was the kind of raw speed moment that made you see why the Dolphins took him ninth overall in the 2007 draft. But it took getting to Carolina to deliver on that promise.